What makes Honda engines amazing? "vtec just kicked in yo"
But what if your little race against the Mustang next to you ends up with a lighting up engine control light and a missing "kick"? Your ECU wants to inform you about a malfunction in the VTEC system. Removing and checking the solenoid is no big job. You only need a ratchtet or a wrench. The solenoid is located at the backside of the engine, just above the exhaust header. It's mounted to the cylinder head with three bolts. The little bolt on the right side hasn't to be removed, it just attaches the headshield to the solenoid but you can remove the whole part as once. 1) Unplug the two plugs of the engine harness which are connected to the solenoid itself and to the oil pressure switch. 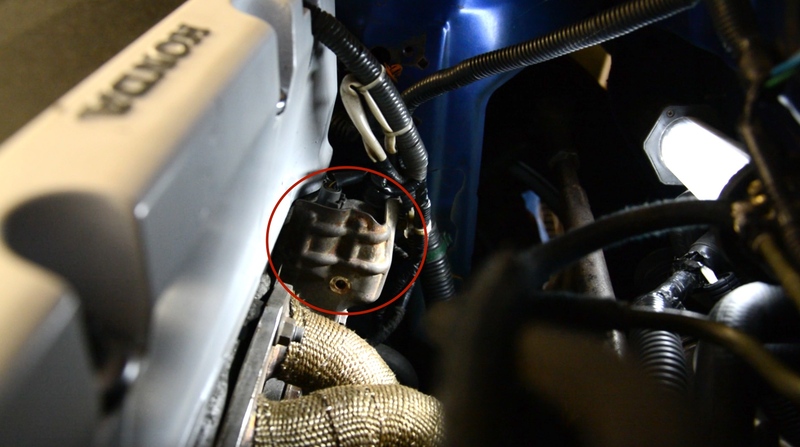 2) Unscrew the three bolts which connect the solenoid to the cylinder head. If the engine is installed in the car, it's a bit difficult to locate the bolts because you can't see them from above. A little mirror eases the process a lot. Hold the solenoid with one hand when it comes to unscrew the last of the three bolts. 3) Take the whole part out. 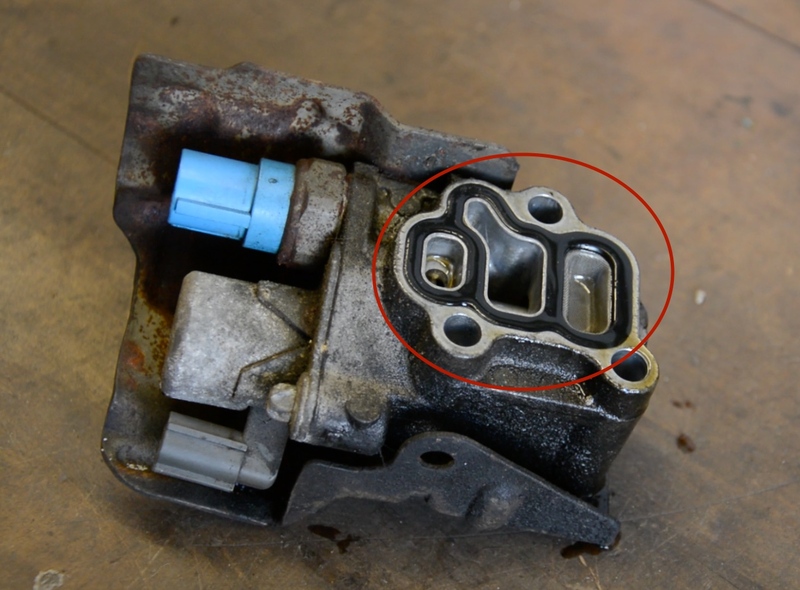 Make sure not to tip the inlet of the solenoid downwards because there's still engine oil in it. Let the remaining engine oil phase out the solenoid. There's a little filter with a metallic sieve on the inlet side. This sieve protects the solenoid from dirt particles in the engine oil. In addition the solenoid should be cleaned out with brake cleaner. The chance is high that there are remaining dirt particles in it. Of course you should change engine oil and engine oil filter too. After you'd plugged the two plugs back in you can start up the engine. Check for leakage while it's running.